The British Small Animal Veterinary Association publishes a world-renowned series of books, manuals and other publications that together provide a comprehensive dataset covering small animal clinical practice. 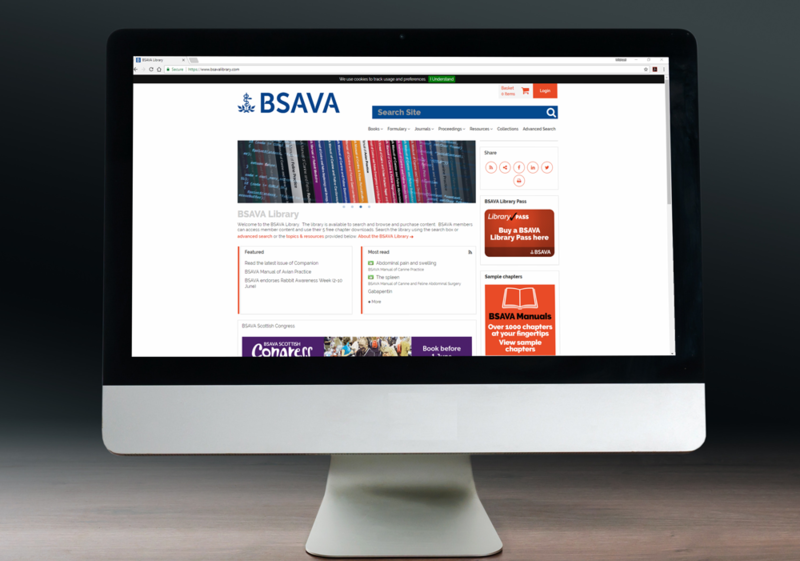 The new BSAVA Library allows users to search and access these publications at the granular level of chapter, article, drug entry, client leaflet or even congress lecture. The resources are aimed at the veterinarian in practice but they are also widely used by specialists, veterinary students, veterinary nurses, veterinary nursing students and practice staff. Ingenta CMS is Ingenta’s premier publishing platform for those who want their own individually branded and customised site. The BSAVA Library is a great showcase of Ingenta CMS functionality. Designed to be simple and intuitive it boasts a clean user interface with responsive design so that it can be accessed on the go. Items within the library have been ‘tagged’ to help users easily find material by particular clinical topic, animal, or content that is aimed at a particular audience. Ingenta is a world-leading provider of content solutions that transform business. We cover the publishing process from end to end with content systems, audience development and content delivery software and services. Combining our unmatched publishing knowledge, global operations and customer support with our Commercial systems, the Ingenta suite of hosting platforms and PCG (Publishers Communication Group) sales and marketing consultancy, we offer the industry’s only full spectrum of solutions to help publishers move their content forward. Listed on the AIM market of the London Stock Exchange, the company operates jointly from Europe (Oxford) and North America (Boston and New Jersey). Assisting trade and scholarly publishers for nearly forty years, Ingenta solves the fundamental issues faced by content providers.